Although I'm baking with them today, five of these items make great fabric resists! Today and tomorrow, I'm in Mommy mode...or because my son is 21, maybe just Mom mode. My husband and I are going out to visit him at college tomorrow. He is staying an extra month to take a class. As Mom, I want to make sure he has plenty of chocolate chip cookies and banana bread. 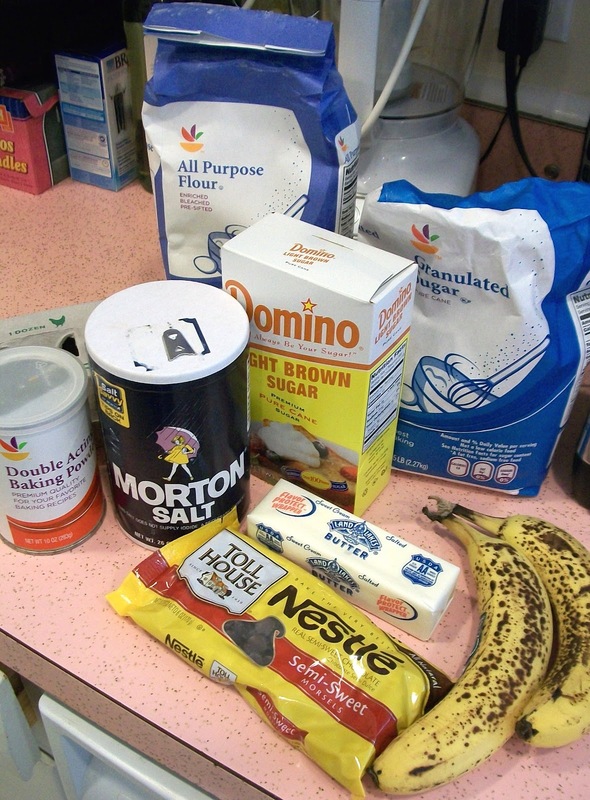 So today I'll be in the kitchen baking with the flour (as opposed to spreading it on fabric). I've been thinking about how we (especially women who are also artists) are constantly shifting in and out of modes or roles. Mom, wife, daughter and daughter-in-law (to aging parents), big sister, aunt, co-worker, concerned friend, teacher...but always the artist calls us back to play with the materials. Even when we aren't in the studio...or whatever space we've set aside to create... we are always thinking about the next project. 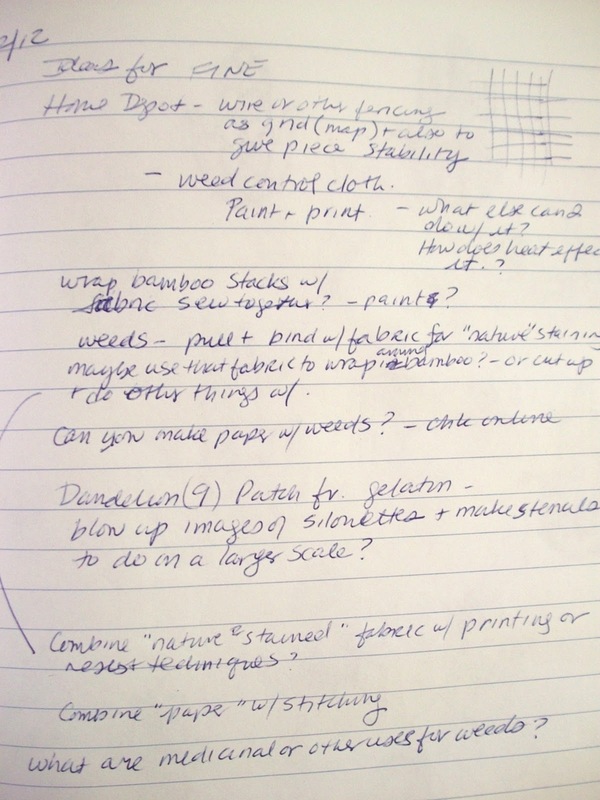 We are jotting down quick notes and sketches that often only we can decipher. Often my ideas get ahead of me or at least get ahead of my time. I hope to get time in the studio this week, but know that time will be scarce. I'll more likely be spending time at the computer churning out my handouts for the next couple of class sessions. I'm traveling a lot this month, in the role of daughter and daughter-in-law. On my travels, my camera, notebook and colored pencils will be handy but not my fabric and paints. But the materials are always calling... I know that I will be sneaking off to the hidey hole (my husband's nickname for my studio) as often as I can to get some playtime. Jennifer Coyne Qudeen and I are working on the finishing touches for the Searching for Roy G Biv challenge. I'll be announcing them here tomorrow. I hope that you will come play with us and invite others to join in.